Take advantage of our extended 4th of July Mattress Sale today and get a great deal on a Nectar mattress. Buy Mattress Offer extended! Buy before 11:59PM on July 11, 2018. 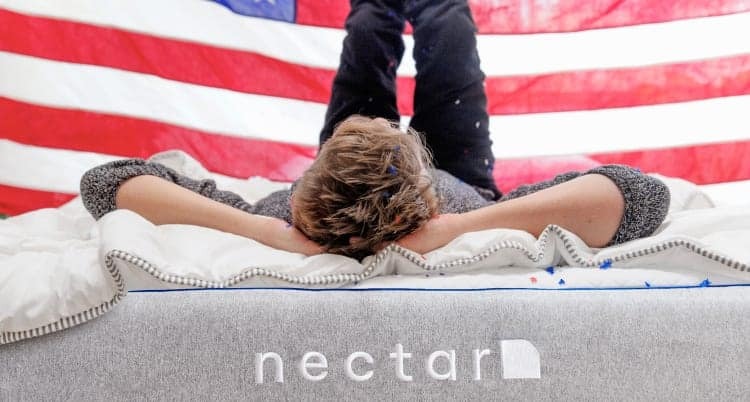 Take advantage of our 4th of July Mattress Sale today and get a great deal on a Nectar mattress. We know how important this decision is, that’s why we offer our industry leading year-long trial. We ship right to your door. If you aren’t 100% happy, you’ll get all your money back plus a free, hassle-free pickup. Yes, every Nectar mattress comes with a warranty that covers you as long as you own it. Watch how easy it is to set up your Nectar mattress at home. It’s as easy as one, two, three.